Sam Kinison was an American comedian and actor who took the truth and customs of society and not only showed it to us but also rammed it down our throats. He is fondly remembered for his legendary shouts which characterizes a Pentecostal preacher. The former preacher found a perfect way to vent his frustration, disappointments, and anger in comedy probably through his distinct scream. His sojourn on earth was very short but he left a mark too deep to be covered and a memory, too deeply entrenched to be erased. Death did not extinguish his light, it only ushered in the dawn. He was a major influence on many comic acts such as Joe Regan during the early days of their career. Ever wondered how he translated his Pentecostal preacher style into comedy? Hold on as we would let you in on that in a short while. Just as he was interesting to watch and listen to, his biography also makes for an interesting reading. Here, you will know all about Sam Kinison and his achievements, his wife and daughter, and the story behind his death. He made his entrance to mother earth on the 8th day of December 1953. Born in Yakima, Washington, he was raised in East Peoria, Illinois. He was named Samuel Burl Kinison by his parents, Marie Florence (née Morrow) and Samuel Earl Kinison who was a Pentecostal preacher. He had two older brothers, Richard and Bill, and a younger brother named Kevin. Sam attended East Peoria Community High School. Following his parents’ divorce when he was 11, his mother remarried to another preacher and moved to Tulsa, Oklahoma where Sam lived for a while. His brother Bill was the only one that lived with their father while the rest of the family moved in with their mother against Sam’s protestations. The root of his frustrations and anger could be traced to that single event. Kinison would later follow in his father’s footstep to become a preacher. He attended Pinecrest Bible Training Center in Salisbury Center, New York and preached from the age of 17 to 24. Although he was a preacher for almost a decade of his life, it was noted that he was not very successful and received very little income just like his father. However, he was not the only one that towed the preaching path though as his brothers also became Pentecostal preachers. Sam Kinison’s frustration was further heightened with his divorce from his first wife. Following that, Sam left preaching and sought a career in comedy, transferring his preaching tactic, especially his distinct scream, to his comedic routines. The shout became his trademark and he was lauded for revealing the truth and customs of society, doing whatever it takes to get his point across. His daring take on comedy helped shot him into the limelight. From performing in small clubs in Houston, Texas, he joined the Texas Outlaw Comics, a comedic group at the Comedy Workshop that also included Bill Hicks who cited Sam as a major influence on his comedic style. Shortly after, he moved to the nation’s seat of entertainment, Los Angeles in 1980. There, he struggled to find his footing in the industry until his brother Bill moved to LA to help manage his career which soon experienced a boom. He took on the black comedy, satire, and observational comedy genre and subjects such as human sexuality, current events, American politics as well as religion. In the summer of 1984, he performed on HBO’s Rodney Dangerfield‘s Ninth Annual Young Comedians Special. That single performance became his big break. His signature scream was described by a reviewer, Stephen Holden of The New York Times as the primal scream of the married man. The following year, he appeared on Late Night with David Letterman. Kinison not only found fame on Dangerfield’s comic platform but also in his 1986 film Back to School as an actor. He played the short-tempered Contemporary American History professor Dr. Terguson. Besides his comedic and acting prowess, his vocal chord was another selling point in his carer. His ability to manipulate it on stage led many wishing he was on a metal band as he would have been a great rock vocalist. Furthermore, his record of a novelty version of The Troggs’ Wild Thing in 1988 appeared on his Have You Seen Me Lately? album. The video became a hit on MTV and featured a cameo by Dangerfield and Jon Bon Jovi as well as starred prominent rock musicians of the time such as Steven Tyler and Joe Perry of Aerosmith, Tommy Lee of Mötley Crüe. The same year, he also appeared in the music video for the Bon Jovi single Bad Medicine. His second album, Leader of the Banned was released in 1990. His legendary scream was also incorporated by many artists in their works such as Anthrax who used it at the beginning of their 1987 song, I’m the Man. Though he had sporadic movie and television roles appearing only in two films Back to School and Savage Dawn, he still made impressive performances in the few he appeared. Fans would still remember him for his portrayals in Married… with Children as Al Bundy’s guardian angel and Tales from the Crypt. He appeared in a host of other TV shows such as Tonight Show, The Howard Stern Show, short-lived Fox Network’s Charlie Hoover in 1991. 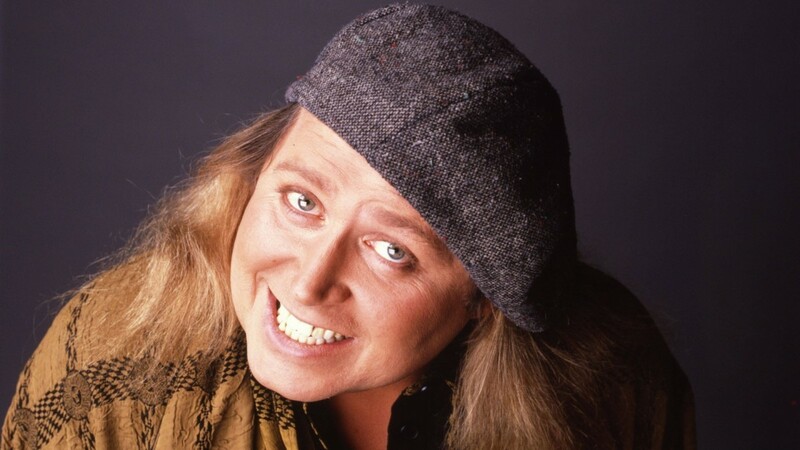 Most of Kinison’s comic materials were adopted from his first two failed marriages. He was married to Patricia Adkins from 1975 to 1980 and Terry Marze from 1981 to 1989. While his marriage with Marze was on its brink of destruction, Sam started a relationship with dancer Malika Marie Souiri. The two were married at the Candlelight Chapel in Las Vegas on April 4, 1992, right before his death six days later. Sam Kinison had no child from any of his marriages but a report in the Toronto Sun from February 2011 stated that he had sired a child with the wife of his best friend and opening act, Carl LaBove. The said girl’s supposed father, LaBove had been paying child support for the girl for nearly 13 years. LaBove filed legal papers claiming the child was Sam’s. The claim was authenticated after DNA tests taken from his brother and manager, Bill showed 99.8% likelihood that Kinison was the father. She was 21 at the time of the Toronto Sun story. Sam Kinison was on his way to perform at a sold-out show in Laughlin, Nevada on April 10, 1992, at the time of the collision that took his life. His car was struck head-on by a pickup truck driven by 17-year-old Troy Pierson, who was driving under influence (DUI). Following the collision, Kinison was found lying between the seats of his car and according to his brother, he did not die instantly. A post-mortem examination revealed that he had suffered many traumatic injuries, including a dislocated neck, a torn aorta, and torn blood vessels in his abdominal cavity, which caused his death within minutes of the collision. Sam Kinison is interred with family members at the Memorial Park Cemetery in Tulsa, Oklahoma.